wbe.travel provides TMCs a reliable solution for their corporate customers to login to an online self booking tool to plan, purchase, book, manage and record travel products and expenses. 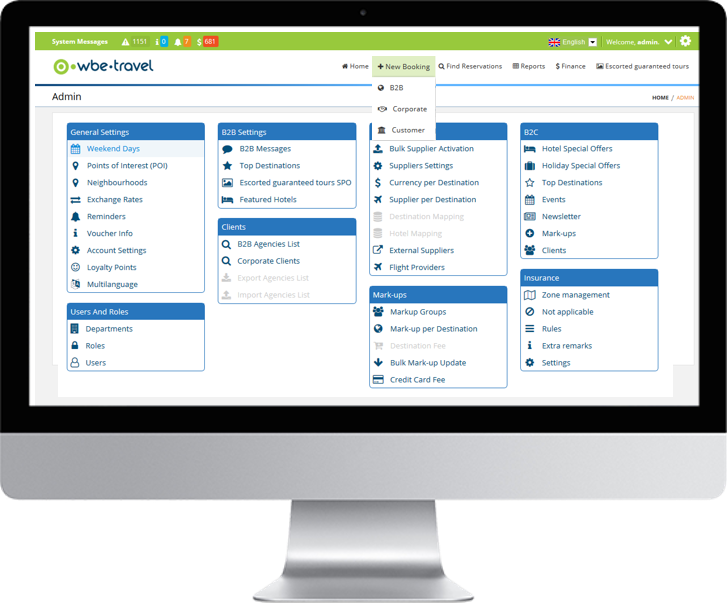 wbe.travel provides the TMCs a tailor-made software solution to simplify the purchasing process in just 3 steps, manage and centralize records of corporate travel bookings. With wbe’travel’solution the TMC’s corporate clients can can easily book travel products by logging into the TMC’s Online Self Booking Tool or request the TMC’s agents to make the online booking in their name and account. 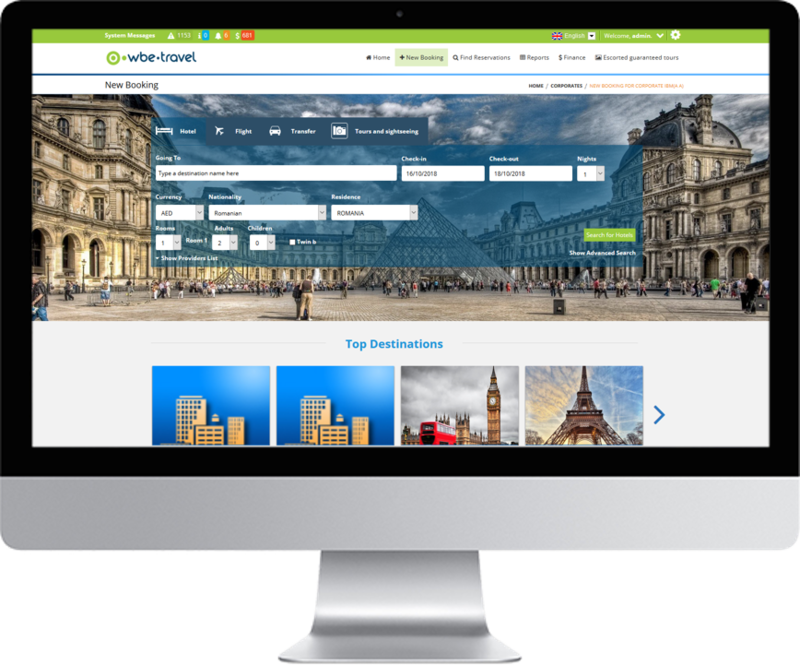 wbe.travel has designed and built a tool to provide the TMCs the possibility to book travel products for their corporate clients or give them direct access to search and book the needed travel products and manage their travel expenses in the Online Self Booking Tool. Our system allows companies of any size to effortlessly manage the entire process in one single place, with the help of our easy-to-use online booking platform. In the booking engine the TMC can host a mixed inventory of contracted and dynamic rates combined with corporate negotiated rates and XML suppliers fares, for the corporate clients to enjoy diversity and flexibility in prices and calendar. The TMC solution is a policy and a role-based tool designed for the TMC and the corporate manager to fully control, create different corporate clients and furthermore allocate specific roles and fixed rights to each party to book or set separte limits in terms of allowed price. The corporate manager can provide rights to employees and decide which information should be visible to the corporate traveler and whether they have rights to make bookings within specific price range and category (hotel stars or low-cost companies/carrier class etc).